WARNING – HORRIFICALLY DETAILED SPOILERS BELOW. READ ONLY AFTER YOU’VE COMPLETED THE GAME. One of the best, most complete, most thematically satisfying endings to anything I’ve ever seen, BioShock Infinite’s conclusion more or less consumed my brain for hours after it was finished. With my head still reeling, I got online to pore over comments and explore facets about the ending that I missed, or perhaps get clued into one of the four recordings that I failed to find. Turns out, I saw that a lot of people actually didn’t quite understand the ending. Some people had questions about what it all meant. Others were disappointed about what they perceived was a “sad” ending, when, in fact, the ending is (mostly) happy. Some missed the boat and have no clue what’s going on. So, to hopefully amend these errant interpretations, I’m going to do my best to go over the ending, explaining what happened, and what it all meant in that last scene after the credits. 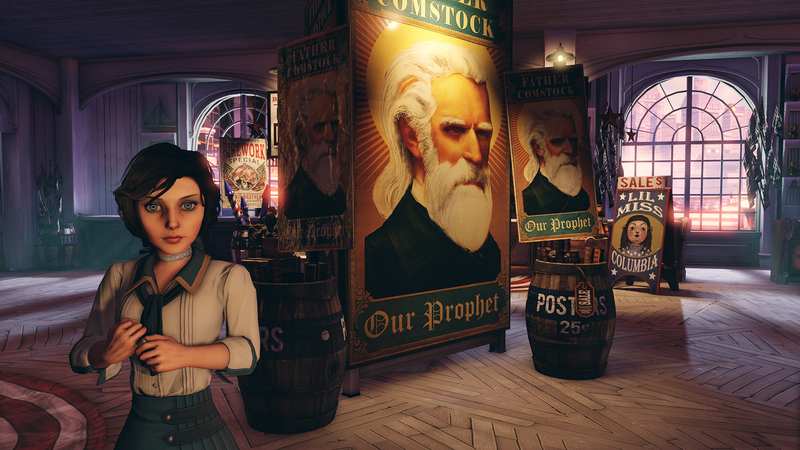 The first aspect to wrap your head around is the “infinite” in “BioShock Infinite” – namely, the multiverse theory, in which there is an infinite amount of parallel universes that exist, each with constants and variables, that represent every choice we do or do not make. Some of these are very small, like did you order Pizza Hut or Papa Johns for dinner. Others are a bit more varied, like if Abraham Lincoln never got assassinated. An infinite amount of possibilities, covering an infinite amount of scenarios. 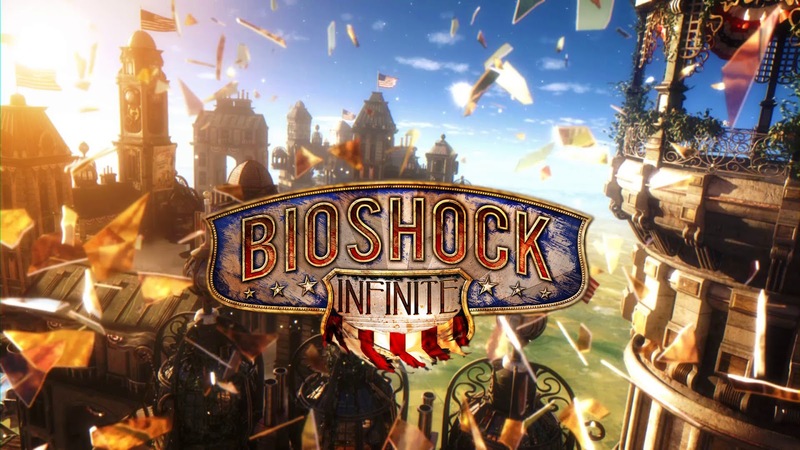 BioShock Infinite follows the exploits of Booker Dewitt, a guy trying to find a girl locked in a tower to erase debt. Sounds simple, but the basic story archetype provides you with an anchor to try to wrap your mind around the more straining segments. When Booker was first faced with the choice of baptism, he refused. He returned to New York, and while we don’t have a clear idea of the exact events, we know he had a baby girl. On the other side of the coin is the other option I went over above, another universe created for if he had gone through with the baptism. In this reality, Booker changes his identity, creates a persona of Zachary Comstock, and continues on to craft the city in the sky, Columbia. Dewitt and Comstock are just two version of the same man, existing in different universes. So, some time passes after the “The Decision.” In Columbia, Comstock is planning something foul to rid the world of its sin – he sees Columbia as a sort of Ark, and intends to provide the world its “flood.” However, he does not yet have the means nor the time to see this plot through – he needs an heir. This is where things really get interesting. To satisfy his desire of obtaining an heir, Comstock uses the Lutece machine to enter Booker’s universe, and take his child. Since Comstock and Dewitt are the same person, Anna is, for all intents and purposes, biologically as much Comstock’s daughter as she is Dewitt’s. This is the first instance in where Dewitt’s world is affected and altered by a parallel dimension. Presumably still haunted by his guilt (and also possibly by the death of his wife in childbirth, which is mentioned but never confirmed), in a moment of darkness, sells his daughter to wipe his slate clean. However, at the last second, he changes his mind, and tries to stop Comstock from taking his daughter. Comstock escapes, but Anna’s finger is severed through the gate between dimensions, which is the assumed birth of her powers. In the years that would follow, Dewitt would fall into a state of depression and self-loathing, until the Luteces enter the picture. Ah, the Luteces. By and large my favorite characters in this game, they are key to everything, and in a way, the true heroes of Infinite. Two – Stop the multiverse apocalypse, as delivered by Elizabeth if allowed to be shepherded by Comstock unfettered. Three – Although I can’t recall if it’s directly stated, the twins assisted Comstock in the trade/abduction of Anna/Elizabeth, and might want to see a father and daughter reunited as atonement. To accomplish these tasks, the Luteces put the gears in motion on a plan. They enter into Dewitt’s universe, while he’s mopey and depressed over selling his daughter, and drag him into Comstock’s. They inform him he’s on a new mission – find Elizabeth and bring her to New York. Dewitt’s sort of insane mind fills in the gaps to reconcile this. As the Lutece’s initial conversation on the boat at the beginning of the game informs us, this is not the first time this experiment has been tried. In fact, a coin toss tally later on indicates that this has been tried over a hundred times before. Dewitt has been caught in a never-ending cycle of trying to save his daughter. He had already been to Columbia, tried, and failed, various times. One outcome we learn about is one in which he becomes a martyr for the Vox Populi. Dewitt was a constant in a never ending-loop. He always ends up back at the baptism, and he always makes one choice or the other, ensuring another Comstock or Dewitt. Except this time. This time, he makes a third choice. The twins experiment finally yields success, and Booker has the revelation he finally needs to close the loop. Why did he get this revelation? It’s unclear – it could be that his journey has finally clued him in on how to be a real father, allowing him to make the sacrifice necessary. Or perhaps the future Elizabeth providing the key about controlling the Song Bird altered the events. Regardless, Dewitt accepts that he needs to die. Rather than emerge from the waters of baptism as a sinner or a saint, he realizes that to fix things, he needs to not emerge at all. By killing himself at the point in time where he accepted the baptism, Dewitt kills off ANY universal possibilities of Comstock. By dying, Dewitt ensures that Comstock never exists. Comstock never builds Columbia. Comstock never enters Dewitt’s reality and takes Anna. In short, the events of BioShock Infinite are erased. Now, I need to clarify why I think this is actually a happy ending. A lot of people assume that everyone dies or is erased from existence because of this decision. That, as far as I can tell, is false. When Dewitt killed himself at that juncture at the baptism at Wounded Knee, he didn’t erase himself from existence – he simply killed off every version of Comstock that could exist in the other universes. In the scene after the credits, Dewitt awakens in his apartment, and goes to check on baby Anna crying in the bedroom. This scene is the universe reacting to Dewitt’s colossal alteration of the timeline, and returning him back to the point right before any of Comstock’s tampering. As the calendar in the scene informs us, this is the day that Comstock WOULD have carried out the deal, and taken Anna. However, now, there is no Comstock. Anna will not be taken and used to carry out an apocalypse. Dewitt and his daughter finally have a reality where they get to be together, and, it’s implied, the Dewitt in this scene is the one who has been transformed into a better man, not the one who was so depressed and lost that he sold his daughter in the first place. This is the part where the ending really shines – behind all the complexity and sci-fi nonsense, this is a tale of a man who learned about the meaning of being a father, and earned a second chance with his daughter to do things the right way. Yes, it means that the version of Elizabeth that we came to know throughout the course of the game no longer exists, technically speaking, but she now has a chance to live a normal life with a loving father, and grow into the strong woman that she’s destined to be – the woman that we’ve seen her be. While it’s sad that the relationship we cultivated with Anna/Elizabeth has essentially been converted back to square one, let’s keep in mind the existences of Elizabeth where she was locked in a tower for her whole life, and especially the ones where she was TORTURED, INDOCTRINATED, AND LED AN ASSAULT ON MANKIND, have been reset. In short – now, in all universes, Comstock never exists, Columbia is never built, and Dewitt and Anna can live their normal lives together. Like I said, happy. As a post-end caveat, I thought I’d touch on the Rapture connection. While some fans are clamoring for direct links between Dewitt/Andrew Ryan (like the fact that Dewitt can manipulate the Bathyspheres that were genetically locked out by all those except Ryan and his son/clone, Jack), I think it’s simply another layer in the themes, and an example of the different versions reality can take. Although it is worth mentioning that the events in BioShock 2 directly mirror those in Infinite, with a father figure on a mission to save his daughter, whose powers are being abused. Then there’s the fact that the abbreviation of Booker Dewitt, BD, is also for “Big Daddy.” And let’s not forget that Elizabeth is referred to as the Lamb, while the daughter in BioShock 2 is named…Eleanor Lamb. I’ve done a lot of looking for a solid grasp on the story, and this is a great one. I would recommend this timeline chart someone posted on reddit; it’s pretty informative. Thanks! I checked out the timeline as well – solid stuff, and it’s nice to be able to see it all graphed out. wait,shudn the two new dimensions start from the moment when booker comes to baptism? not before the battle…same goes for lutece borning,everything shud happen when booker declines baptism,only then shud the other dimension appear..
Of all the questions you need to ask yourself about the post-credit scene, the only question that matters is ‘when’. Not which DeWitt it is, or which universe he’s in, or even if Anna is really alive… it’s WHEN that scene takes place. And, as you pointed out, it’s before Comstock was able to interfere and everything went bad. Thus giving us our good ending. Exactly. Little things like that are sprinkled everywhere, and so much more context is given to everything from dialogue to religious propaganda. Technically, she drowns Dewitt before he becomes either Comstock or the depressed Dewitt that sells his daughter, true. But by drowning Dewitt before he becomes Comstock, this “resets” these universes – if Comstock is never “made,” he can’t come into Dewitt’s universe to steal Anna, thus nullifying the events that led to her drowning Dewitt. That’s why by choosing to drown, he technically only kills Comstock – without Comstock’s interference, none of the events take place, and things are returned to the point before his meddling. Does that make sense? I agree this should make perfect sense because he doesn’t become Comstock or Dewitt, it’s a character we know nothing about because its neither of the two. It’s always different in a different dimension. Constants and Variables. Well I’m sorry but I can’t agree with the “happy ending version”. Especially because we don’t see Anna in the very last scene, only the crib. But I’ve got another hypothesis. Let’s look at the timeline http://i.imgur.com/uTXdy0C.jpg During the game, we enter diffrent timeline with Elizabeth twice before she is recaptured by Songbird, in the picture it’s A->A1->A2. So original Elizabeth (A) and Booker (B) end up in timeline A2. In A2 their Booker (A2) is killed during the revolt, because Liz (both A1 and A2) is moved to Comstock House before his arrival. So we have timeline A2, where is one Booker (B) alive, the one we are playing for, but how many Elizabeths? Apparently the one that comes with us (A), but where is the one from A2? Probably no longer in the Comstock House, because Comstock is so keen on capturing our Elizabeth (A) (why would he be, if he already had one). So my theory is what if Liz A2 (maybe with other Booker) somehow influenced the ending? I hope I made myself clear, the story makes my head spinning so much. It’s an interesting theory that you’ve given a lot of thought, clearly…but you actually -do- verify that Anna is there because you hear her crying. Now, you’re right, you don’t see her in the crib, but you can infer from the cries that it’s Anna. Does that change your theory at all or help you subscribe to a happy ending? Actually it’s the thing that makes me doubt. We here baby Anna crying in her room, but why is the scene cut before we can see her? Is there a tear in the crib (since all the tears in the game are vertical, it’s rather unlikely) or a voxophone? I know my imagination is going wild and I hope the qusteions will be answered in DLC or worse the sequel. Thanks! Yeah, there’s tons to debate, and I’m sure many other layers and angles we haven’t even considered yet. I think the ending, from a narrative standpoint, could have been pulled off a little more poignantly (most relies on inference and adherence to fringe theories), there’s no doubt this ending will be talked about for years to come, and mostly in a good way. Nice explanation, I would say this one makes the most sense out of all of the ones I have read. You did not mention Fink or Fitzroy, however, whose conflict was the major plot point during the first half of the game, as well as their involvement in the wider story arc, is there anything to add there? If I remember correctly Fink was hired to murder the Luteces and make it look like an accident; hence their desire for revenge, and them helping Booker. Also I forgot to mention, what are your thoughts on the Songbird? An important yet undeveloped character. Another story arc for the future DLC, perhaps? Yeah, I didn’t really get into the Fink/Fitzroy stories, because they didn’t contribute directly to the mindbending ending, but they were definitely critical to the plot, and to the thematic (and literal) connections to Rapture. Like how Fink’s brother heard music through tears and created his own musical compositions based on these separate sources, it’s not a crazy idea to think that Fink possibly did the same with EVE and the Plasmids in his creation of the Vigors. I saw those comments about how all these characters sort of represent each other across these different universes, and…while I can’t say for sure one way or the other based on the limited evidence presented in the game, I will say that I don’t think the similarities were an accident – there are clear thematic connections and representations in these two games. Beyond the themes? Well…it is called BioShock Infinte…. As far as the Songbird…I actually don’t know. To me, that’s really the biggest piece of the puzzle in all of this, and clearly one of the least fleshed out aspects of the game. My initial reaction was to compare it to a Big Daddy, and that might still be the best comparison, especially if you buy into Dewitt = Jack and Comstock = Ryan. Beyond that, it’s hard to tell. I’m excited as hell for any DLC that would delve further into this universe though! Can someone explain,how do the other dimensions end?when elizabeth said that they all end in the same place(the dimensional lighthouse),i mean,how Do the other dimensions end?do they also kill booker as we saw at the end?i understand that the dimension in which are we playing is where we stop the circle/loop of this never ending story,but i just dont get it how do the other dimensions end. It’s kind of hard to explain, and I hope I’m not butchering the explanation, but from what I understood, these multi universes and different parallel dimensions are manifested from alternative possibilities and choices not taken. Now, this will make it sound more black and white than it really is, but if you choose to drink a glass of orange juice today instead of a glass of milk, you enjoy your glass of juice, but another universe of possibility spawns from you drinking milk. Maybe you enjoyed the milk. Maybe you got sick from expired milk and died. Who knows? But, according to the theory, a universe represents whatever choice you didn’t make. Now, imagine, there was a way to go back and destroy your fridge and all its contents. Essentially, it’s removing the possibility of you even making that choice in the first place. The universes where you deal with the consequences of milk or juice are thus nullified. Again, this is oversimplification, especially in the case of Bioshock, where a paradox was created when Comstock died because he directly influenced Dewitt’s universe, but I believe the same idea still applies. For example,we are 122 Booker who tryes to save elizabeth right?So how did the 121 Booker end?You said that everything ends at the baptism again “He always ends up back at the baptism, and he always makes one choice or the other, ensuring another Comstock or Dewitt” ,so 121 Booker choosed one of those two options and created the 122(so this is the loop which goes on and on till we end it).This is clear to me.But,when we walk in the dimensional tower zone,we see other bookers doing the same,so that means there are other multi verses where booker does the same? I’m having a hard time following, haha, but if you’re saying what I think you’re saying, then yest, those are other Booker’s going through the same part in that journey. It’s all the same until the very end. I’m…confused. Did I imply something differently? Great explanation! also any theories on the dead guy in the light house at the beginning of the game? No! I recently went back through the beginning and saw him, but I couldn’t think of who that could be. I’m open to suggestions! I think there is only a few possibilities. It could be either the Luteces, Booker or Elizabeth from other dimension since they are the only people interested in doing so :). You’re right about the massage. But I don’t think it was Comstock, because of the note on the wall tacked to the map. It was reading something like: “He must not go through,” (can’t remember exactly), but important is that it was signed “C.” so I suppose it being a massage for the “lighthouse keeper” from Comstock. Oh, nice, I don’t remember that – clearly, I need to go through again to pick up on the little details that have so much more context now. Awesome explanation! But theres one thing I kinda dont get about the story and that is this never ending cycle of saving his daughter that booker is caught in. Lets say on his first ever try to save his daughter he becomes a martyr of the vox and dies, therefore fails to end the cycle. But how does it continue after that? Are the luteces just going back in time to bookers universe, take him into comstocks and basically just restart the whole thing? The Martyr Dewitt who dies for the cause is just one of the many, many Bookers, so it’s doesn’t really have much of an effect on the whole. However, it is worth noting that when our Dewitt resets everything by choosing to die and eliminating the possibility of any and all Comstocks, he also resets that death, so Dewitt never has to end up dying in Columbia, which is never even built. Not exactly what you asked, but I thought it was interesting nonetheless. Interesting indeed. The whole story, and especially the ending is an absolute masterpiece imo, I could think about it for hours. I still get kinda confused about booker and elizabeth moving between timelines near the end of the game. between timelines towards the end of the game. Elzabeth gets caught by songbird in the universe in which booker died as a martyr, but isnt there already another elizabeth in it? or does she only exist once in all universes? While it never touches on it directly, the fact that there are a bunch of Elizabeths at the end would pretty much prove the fact that they can exist simultaneously. I imagine that if Booker died for the cause (which i have a hard time believing he ever bought into, for the record, given his personality), Elizabeth was recaptured by the Songbird, and was undergoing indoctrination/torture in her tower when our universes’ Dewitt and Beth were running around in this universe. Hi, I was one of the people generally confused about the ending. Firstly I’d like to say that this article is absolutely outstanding. After reading it I felt as if I had reached some sort of spiritual enlightenment… ALTHOUGH… There is one thing. By Killing himself at the baptism so that he cannot become Comstock, in the process is he not destroying all futures? Including the one where he goes on to have Anna (as booker)? What I’m trying to say is… If booker killed himself at the baptism how can he go on to have Anna? Haha, thanks, I’m glad it helped! Technically in the timeline of things, drowning himself would prevent him from having Anna, but because he was sent back from a future, after the events that had already taken place, to make the choice again (and thus continue the loop), the fact that he closes the loop by killing himself starts a chain reaction that unravels the whole thing, returning the Booker to a time before Comstock came into his universe and ruined everything – namely, on the day he was going to give up Anna. That’s why that date is denoted on the calendar, and that’s why she’s crying in the next room. If Booker died before even could make the choice (Elisabeth said he went there so we can consider it a fix point in the universes, the multiple Elisabeths support this theory), he died in all universe so cant have a daughter. If Elisabeth’s not right and there is some universe where he wouldnt made to the baptism site that day (still wounded, drunk,, etc.) he might have survived and had a daughter, but he cauld just as easily turn to Comstock – so lets asume its some fix point. The reset theory i think just a theory that brings us happiness but creates the grandpa paradox, Its just as easily possible that the original timeline gets preserved, since its necessary for DeWitt to able to get back and kill “himself”. No paradox for you, In this case DeWitt sold Anna, get after her and save her from Comstock and lots of people died. So at the very ending, in 1893 he is still going to sell Anna. Sad. BUT. In Multiverse you wont get in the skin of that universe yourself (thats the Back to the future glitch), You retain your original self. So Booker should have killed DeWitt in “3rd person”. Getting back at time to replay event cannot alter dimensions as Elisabeth said he already done what he had done. Its looks like just some memory lane strolling. So where are we now? Its a bug or a feature? I feel like you’re absolutely correct in all other instances, but the one game-changer in this case is the fact that Comstock altered Dewitt’s universe directly, leading to the events that eventually led to the -undoing- of the events. If that makes sense. So by eliminating any chance of Comstock, Dewitt symbolically tugged on the thread that unraveled the whole sweater – the universe, and all the universes, went through a “soft reset,” returning to last known time before Comstock interfered, and returning to the line before the “loop” began. I think at the very ending, by the fact that he traveled through both time and dimensions, he is back at his apartment, but without the mindset that led him to sell Anna originally – he retained the memories and the emotional journey. he’s now a changed man through the lessons he learned. I just think the multiverse cannot work that way. Because if every change makes a new universe, then every change by time travel has to make a new universe (with a new Booker) and cannot alter the current universe, just a lot of other. Which i find comforting, since it ensures that no time traveling madman can alter my world or wipe us out of existence suddenly. But it also means, that BI is a bit messed up – but still a really wonderfull game. Or i’m just a stubborn idiot, but BI is still a wonderfull game in this case too. Haha, no, you’re right, I see what you’re saying. But…because it’s time travel, perhaps there is a way to “go through the loop again.” Arrive at the end, and then start at the beginning. In this case, it could work, but now we’re sort of reaching the “end-conversation” point because nobody knows how time travel works and everyone has their own theories, haha. Great article and very helpful summary (best with the timeline in the first comment) for those digging into the story. Your happy ending makes sence as one of the possible interpretations. Hey your explanation of the this game is great. But there’s still one thing that I am confused about. I understand that Dewitt kills himself during the baptism so that no form of Comstock is ever created, but when he awakes at the ending after the credits, will he have any recollection of anything that happened throughout the game? That was actually one of my biggest questions, and while I touched on it in the article, i do think – and hope – he does. Even though it was all erased and the universes were reset, it seems like he still has memories. If we think to what that day would be like if he didn’t have his memories, then we’d ask: why does he seem surprised/frantic to hear Anna crying in her crib? If he didn’t just bend time and space to save her, why would that be a thing? The reason I said “hope” is because if it’s not reset, then we simply have a man who is depressed enough to even consider selling his damn baby daughter in the first place. So yes, I do think he retained his memories from Columbia, despite breaking the loop. Guys, I have noticed another interesting fact. We never see Booker’s right hand after the credits, so we don’t know, whether there was “AD” or not. If he’s still branded, it doesn’t actually mean a whole lot, either way. If he’s NOT branded, but that’s even more evidence about things resetting in a pretty significant way. We saw that Booker was not branded during the fight for Anna with Comstock. So as you said, if he doesn’t had “AD” on his right hand, it would indicate resetting things. But if he does, it would complicate things a lot. Yeah, you’re totally right, which is why I’m sure they didn’t show it. The mark or lack thereof would mean two very different things. Aren’t there infinite possibilities of the “Baptism Event”? If so, didn’t they simply kill one instance of it? For example, in one instance with the Baptism Event, Booker ordered from Pizza Hut on one prior day, while in another multiverse, he chose to order from Dominoes, there would be two parallel universes that would have the same event happen with some different earlier variables. Wouldn’t the event have to be altered infinitely in order to have outcome on all possibilities? It seems like there is a bottleneck in the multiverse continuum, where there the Baptism Event happens to every single version of Booker at the same time. What if he never even went to the Baptism place? Isn’t that a possibility? Also, how did Comstock know that Booker would etch AD on his right hand? The timeline states that Booker etched the initials on his hand after his daughter was taken, but Comstock wouldn’t know that, right? I have a feeling that I am missing a huge pieces of the puzzle here and if someone can enlighten me, I would be much obliged. Just beat the game and still trying to get my head around the ending. Both are good questions, and one is easier to answer than the other. For the first, I think it comes down to travelling back to that initial time at Wounded Knee. By changing his initial decision and killing himself, he altered every other universe spawning from that one. We’re now truly getting into “fringe theory,” where there is a “zero universe” from which all the other ones sort of spawn. The other theory is that things are truly parallel, but the realization of “No Comstockl,” and that mindset, ripple out throughout all the other ones. The state of mind that led Dewitt to this realization emanates and reaches across all the other ones. I prefer the first one, but this is one I’ve heard thrown around as well. As far as your second question, I think you’re right, and that there is no real explanation; however, we are left to infer with a fair amount of confidence that Comstock observed Dewitt through tears. Actually, we know this for a fact – we know Comstock was using the Lutece machine to look through tears (which led to his infertility in the first place), and we know Comstock knew about Dewitt’s child, hence the “abduction.” It’s not unreasonable to think Comstock would continue to monitor the situation after he had Elizabeth in his possession – either that Dewitt, or the many others in the other universes. Based on the raw explanation of the multiverse theory, wouldn’t there be infinite Comstocks spawned in other universes that didn’t even have the Baptism Event? For example, what if Booker suddenly found deep religion and found Columbia without ever repenting for his sins? Isn’t that a possibility? What if the battle of the Wounded Knee never even happened, but Booker still became Comstock for some other reason. Isn’t that a possibility? Sorry I have to drill that fringe so much, but that is realistically my sole reservation with the story. In terms of multiverses, the Baptism Event doesn’t even matter, because the same outcome can be achieved in an infinite other ways. That is if we are going by the theory of multiverse to the core. If the undisputed center of all Booker’s universes is the Baptism Event, then nothing he had done in his life up to that point even registers or can deviate in any other universe? I don’t know if I am making sense, but personally, I don’t like the implications of my doubts being correct. What do you think, Shaun? Maybe I will dig around some more on this subject, but I really don’t like how so much importance was placed on this Baptism Event, like its the center of the universe (literally). Also, I can see now how Comstock could have monitored Booker. He could have observed his failed attempts or gained some glimpses into other (similar) universes. Thanks for clearing that, for some reason I didn’t take into account that Comstock would have the reason to do that. -He fails against the Songbird EVERY time. -There’s never a scenario where he doesn’t give away Anna to Comstock. Elizabeth says as much when you’re in the room. In order to rationalize and reconcile this crazy claim, someone said there are situations where Comstock forcefully abducted Anna. I don’t agree, at least according to the game’s logic. It was Dewitt’s decision that haunts him, and an abduction robs him of that defining trait that leads his mind into a vegetative state over the next 20 years. Also, if Comstock just took Anna, how do we always get Dewitt following, creating the severed finger? I’m totally spitballing here, but those are some of the things I’m thinking. A great game with a great ending, but it does seem like there are a few plot holes/leaps in logic that don’t sit well. I have to say that this is by far one of the better explanation of the game. As someone stated before the ending is simple. There are infinite universes created when Booker chooses to get baptized or not to get baptized. Elizabeth took Booker back to that specific event and Booker drowned. Therefore all of the universes based off of the baptizim event never exist. But there are still infinite universes where Booker never went to the baptizim. In those universes Booker and Anna could exist. That is what we see after the credits. There could be universes where Booker was baptized on another date and still becomes Comstock. The only universes that were destroyed were the ones relating to that exact time of Booker choosing weather to be baptized or not. Hence the word Infine in the title. That’s definitely one possible theory, but what I don’t like about that is it is mostly based on inferences not made from the source itself. Could you be right? Absolutely. But that’s where we start getting into silly territory. Could there be a universe where a meteor never hits the earth, and dinosaurs exists and steal Anna away from Booker? When you’re talking about the possibilities in an infinite space, sure, but nothing in this game speaks to that at all (thank god). So while you could absolutely be right, I prefer the version where his actions are more impactful and affect everything. 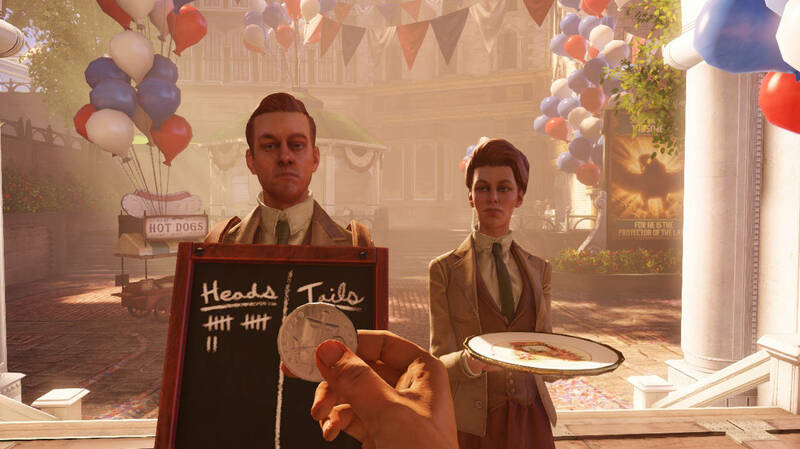 I disagree completely with the assertion that what we’re seeing is simply a separate Dewitt and Anna in the ending, because that completely trivializes the events of the game. But that’s just my opinion. Two things still bug me.Why did Elizabeth at the end when they killed Booker was so emotionless…she just stud there killing him…no crying..no nothing…after all they been thru…and the second thing is,why did booker(after credits) entering the room said “Anna is that you?” If the loop was ended,and the time was set normal.Booker sounded like he knew what happened and didnt knew what to expect after the loop end. Well,Elizabeth saw so many dimensions,so many ways,so much everything when the angel tower was destroyed,u cant know how this could affect you,but actually she did cry when other elizabeths from other dimensions started to dissapear until our elizabeth faded out too,so yes i think she did cry over booker,but not becouse she killed him,but becouse she had such a bad life,then she found a friend,who appears to be her true father..and she knows that she will never see him again.So ye there were emotions,but true,everything happened really fast..no goodbye..no hug no kiss. Its like he knew what happened,and wasnt shure what to expect after the loop end. You make a really good point – there are a lot of emotions happening in that moment, with universe shattering results, so it’s hard to ascertain what exactly her appropriate emotion should have been. But…I mean,, what should the emotion have been, honestly? Do we know? For example, let’s say she knew the consequences of drowning him, and how it would reset everything. If you lived a hard life, and knew you’d get a chance to have a redo and it would be happier the next time, but you’d lose your memories and all your relationships and connections, how would you feel? I imagine it would be bitter sweet, but there is a whole range of emotional responses that I can think would be appropriate. I sort of addressed this (although it may have been in the comments), but I do think (and hope) that he did manage to retain his memories, despite everything. I went over some evidence, but basically, the game indicates to us that his memories were kept intact. He was calling for her because he had those memories, and was shocked to hear her, back in the crib, after everything he just endured. They also purposefully did not show his hand, keeping it a secret whether AD was still etched on it, meaning this was a point they preferred to leave open to fan interpretation. As far as the emotionless drowning (and also creepy – “smother”), I was wondering about that myself. Did she know this was a way to break the loop, and was okay with it because she knew what the beneficial consequences would be? It’s hard to tell, but it’s one of the mysteries we’re left with. Well reading some forums I found an idea (and I incline to it too) that “our” Elizabeth never participated in the drowning. There is a few clues, most important that in this scene Elizabeth DID NOT have a pendant (with either a bird or cage), for second Booker says after he enters the river and turns back to Liz “Wait, you’re not… Who are you?”. So the Elizabeth in the middle was probably her versioin from some other dimension, just wearing the same dress. Interesting fact as well is, that we can’t see her entering the doors of the last lighthouse. I would also expect her to show some emotions in the light of her reactions throughout the game and indisputable close relationship with Booker. Well, you could certainly be correct, because who really knows, but I don’t necessarily think that evidence leads us to too many conclusions. I remember someone mentioning they thought they remembered it falling off at some point, and he’d go back and check. While I never followed up, I feel like that’s a possibility. Why remove the pendant if your the developer? Well, maybe to designate that it’s a different Elizabeth, like you said (although wearing the pendant, but with the opposite choice than what you made, would do more for that). Or maybe as symbolism of “freedom,” representing her accumulation of her transcended knowledge at the end. Is it a coincidence that they frequently mentioned her “collar” (the tower), but then at the end, to coincide with its destruction, she takes off her “pendant,” which goes around her neck much like a collar would? Again, maybe. As far as the river scene, I agree that it’s weird, but his lack of recognition would indicate more to me his memories going all fuzzy and weird from the dimensional trauma, rather than indicate that it’s a different Elizabeth. If she in any way looked different, I don’t think his reaction would be almost an oblivious inquiry; it would be met with more suspicion, if that makes sense. From what I could tell, he didn’t recognize the face of Elizabeth at all, regardless of what version it was. We can see her wearing it during opening of the final doors, so she would have to be very quick in removing it :), but it not necessarily means much, probably she just didn’t want to see it (cause she had known, what was coming). Hmm…it’s really interesting that it’s that late, though, you’re right. Gosh, I don’t know. I’m trying to think, symbolically and thematically, what the significance of that would be, if it’s a different version. It’s trippy, but what work does that do for the narrative? Interesting though, thanks for pointing that out! I have no idea what is the significance of that, but I feel that it will be important somehow. Honestly it’s not my remark, I just read it somewhere and did not notice in the game :). Yeah, that’s actually one of the things I love about it: i think as time goes on, more and more revelations will be made, and things will become more clear. That’s the beauty of this story. I was pretty annoyed when the ending came and i interpreted it as all your actions having been all for nothing as you drowned. Thanks for tying it together and allowing me the believe that “my booker” survived to a happy ending. How did the loop started? after the first attempt to save elizabeth and entering the dimensional tower and taking the baptism again? Hmm…it’s an interesting question because…if you look at a circle, where does it start and end? When Dewitt finishes the events of the game, and goes back to the baptism, this is when the loop actually manifests itself. However, I don’t think that’s necessarily where it “begins.” My initial thought was that the loop started when Comstock first used the Lutece machine to cross over into Dewitt’s universe and kidnap Anna, but I think in actuality, the loop begins when the Luteces drag Dewitt back in to rescue Elizabeth, years after Dewitt hands her over to Comstock. They see Dewitt as a means to right a wrong, essentially, and transport him as their “tool” to fixing the loop…although they seem to be both trapped by the loop, but also “outside” of it, as they retain all their memories of each attempt, as evidenced by their dialogue throughout the course of the game. This actually is actually an interesting reveal, though, as if they can retain their memories, it sets a precedent for Dewitt to do the same once he breaks the loop. Okay, I’m only confused about one part now. If DeWitt was brought back in time to the baptism, and he was drowned, therefore killing him and any possible Comstock, then why is he alive again after the credits? I touched on this in the article, but because he drowned himself and eliminated Comstock, he started a chain of events that unraveled everything. If Comstock didn’t exist, he couldn’t come to Dewitt’s universe and stolen Anna. If he doesn’t steal Anna, Dewitt doesn’t go on his adventure in the first place. Preventing Comstock’s existence undoes all the events that come after it, so to reconcile this, the universe returns Dewitt to the time immediately before Comstock’s meddling – namely, to his apartment with Anna, on the day that he would have given her up to Comstock. Does that make sense? Oh okay, I see now. Thank you! If Elizabeth is from the same original dimension as Booker,doesnt that mean she should retain her memory aswell? For example:Booker was really mixed in the events of Columbia,after killing himself,he destroys every comstock and every related thing to him,but he aswell is related to comstock and doesnt forget what happened. So if elizabeth IS from the same timeline as booker,she should go back as a baby(but the same person)…and maybe when shes grown up,she retains her memory? Gosh…I’m not sure. Let me clarify real quick that from what I know about the mind, it wouldn’t work that way – because she reverts to a baby (which sounds very silly to type out), her mind also converts to a state where the memories would not be there anymore. So when she grows up, they wouldn’t appear out of nowhere, if that makes sense, strictly from a biological point of view. However, I’m using that as a crutch to avoid answering the real question – if she COULD have the ability to remember events, biologically, could she in this situation. That, I honestly don’t know. I would think yes – if I’m basing my assumption that Dewitt can do it off the precedent that the Luteces could do it, then yes, I think Elizabeth could have remembered, especially considering her level of understanding at the end of the game, along with her awareness of the loop. 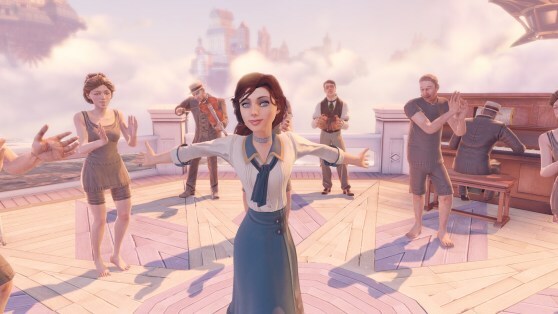 Unfortunately, I dont’ think it matters because of the whole “baby” thing, and while I want to retain that Elizabeth as well, I take solace in the fact that Booker will now be able to guide her in a normal life, so that she becomes that person we all grew to love throughout the course of the game. Yes the baby part really kills the chances and yes you are right about that father guiding her child in the right way,its just that i feel sorry for elizabeth,so much pain,and a sacrifice at the end of her own life.I dont think she was happy cuz she cryed before vanishing,but atleast she will have a normal life now. Btw,so technically baby anna now is the same person which we knew right?Her memorys maybe lost,but if shes from the same timeline,she shoud be the same,but just starting a new life. Yeah, i think i mentioned this in some comment somewhere, but I think at that moment for her, it is sort of bittersweet – if your life was hard and full of a lot of pain, and if you knew that it was only going to get worse, but then had a chance to relive it (albeit without the memories of the good times and the relationships you forged), how would you feel? My feeling is what I imagine Elizabeth’s was, which is happy, but also sad at the loss of what good there was. As far as whether or not she will be the same person, I think yes, absolutely – she will be the same kind-hearted, good person she was in the game, and will never have to endure the pain, torment, and indoctrination from Comstock. And the Luteces…are interesting, because, as we know from the game, they exist outside “possibility space,” or whatever they called it. And yet, the male Lutece is still there, playing his role in the loop by taking the child. So, i guess my answer with the unique Lutece situation is…yes and no 🙂 Once their minds transcend, then yes, but it would appear their previous selves are still subject to the loop and unaware. Nice,thanks for clearing that for me. “Booker,i saw everything,every dimensions,every posibilities and i…..naahh fuk it lets just go to france,the lop will be stopped for some time cuz in the end we didnt return to the baptism scene,so ye lets just go to france,chill and maybe later,we will kill and the circle be unbroken”…but then the game wont be so dramatic,or maybe it would be more fun to see them both actually at france for atleast a moment before ending everything. To sum up thx for your answers,really helped 🙂 ,you should make a list of cleared questions. And yeah, as much as I like the ending, part of me so wanted them to screw it all and just go to France, haha. I read all comments,werry much clearance,but the killed man at the begining isnt really explained,i think its an important part of the game,becouse hes absolutelly hiden from as,we dont know who he is,who killed him…we just know that Comstock send him to guard the tower and dont let DeWitt enter,but if Comstock used tears to see other dimensions…we would have known that ,that 1 man wudn help and he wud die. I think that this will be in one of dlc’s,the killed man story. theres no AD on the hand,so not booker,so i guess hes just the keeper,who got in the way and lutece killed him. Interesting. You think Lutece killed him? Could be. But what about the “C” signature on the note? Doesn’t that imply Comstock was involved at least tangentially? Yeah, that’s the thought a few other people had. I actually hope you’re right, because I think that could be a really cool way to explore more of the universe without contradicting anything. Question,is it worth to play bioshock and bioshock 2? are they as good as the infinite,becouse i didnt play 1 and 2 parts.Are they good to?maybe becouse i didnt played them,im missed something in the infinite. You’re not really missing anything by not playing those, except perhaps another layer in the themes, because there are a lot of thematic similarities across all the games. But narratively speaking, no, there are no real connections. I would absolutely recommend playing both of them though. You’ll be disappointed by the lack of characterization after coming from Infinite, but everything else in the original is gold. The game is a ground breaking masterpiece, without a doubt. The sequel, while more tame, is still exceptional thanks to a great story and brilliant ways that it finds to break up the pace. If you enjoyed Infinite, I recommend them both very highly. P.S. Even the DLC of BioShock 2 is a very good, albeit short, tale. I like this intrrpretation a lot. But I have disagree on the theory that all iterations of unverses cease to exist where there is a comstock or a depressed booker. That statement is only true if you believe the same series of choices cannot be made again. Which they could….well actually are made again. Given any universe. Consider that for every unique action the universe that the action takes place in spawns a new universe. In each universe that is created, everything that has ever taken place before the unique action that defines it, is unchangeable. And everything that happens after it is recursively infinite. At the battle of wounded knee; the last enemy has been slain and booker walks off the battlefield using his left foot. The univese forks based on this event. At the battle of wounded knee; the last enemy has been slain and booker walks off the battlefield using his right foot. The univese forks based on this event. So to decide whether the ending is tragic or happy is a tough one. Effectively there are an infinite number universes where booker gets elizabeth. But countering that are a million endings where he dies. It really boils down to perspective of the universe you choose to reside in. Ignorance is bliss. How can you enjoy your universe if you know there are an infinite amount of others where elizabeth get tortured and brings wrath upon the earth. Yeah, you could totally be right – that’s the nebulous aspect of storytelling in the multiverse. However, that’s only one interpretation of what’s happening, with a new option and universe spawning for all the minutiae in the universe. One of the possibilities we discussed in the comments was of a sort of “track” method, where the universes prescribe to the same tracks, more or less, but are variable at their junctions – certain decisions can spawn different tracks, but once your on the track, they do sort of play out like a predestined set of events, like you mentioned. The game actually lends itself to this theory various times, by replaying the same scenes over and over again, so it may be the theory that pulls the from the source material the most. However, while I went with the interpretation that I enjoyed the most, the game is clearly open to various ideas and theories. Thank you I now understand the whole story. At first I didn’t understand and I thought it shouldn’t be named a bioshock sense I didn’t see a connection at all and I thought the story was not that good but now that I understand it is my favorite bioshock by far and the story once you understand is amazing. Thank your for the great description it was exactly what I was looking for. I’m glad it helped, and more glad you enjoyed the game! Wow my thoughts after reading this is that this helps out so much. Many thanks for taking the time to explain this to all. Isn’t the whole point that there are more than one Bookers? How does drowing one stop everything? Do no other bookers from another verse take a baptism? Great and very insightful theory.I might be a bit late to the discussion,but what i don’t understand about the ending is why eliminating the “Comstock variable” supposedly makes Booker and Anna live a happy life.I mean to my understanding before the baptism Booker is presented with a binary choice that leads to 2 outcomes that spawn infinite different universes,so by dying instead of being baptized there’s no Comstock,no Elizabeth etc…,eliminating that choice and all the universes that stem from that choice,but wouldn’t that just leave us with Booker being depressed and overwhelmed by guilt?,now with the difference of baby Anna of course. Why would that outcome change if none baptized Booker is the only one left?. I don’t know,maybe i am just projecting the feeling of predestination and helplessness that the ending left me with.The game has so many layers and interpretations,but i couldn’t help to feel extremely bad for Booker/Comstock throughout,both options he takes at the baptism were driven by extreme guilt,he was the most flawed of them all but at the same time the most human.For him both sides of the coin were tragedies,and even to try to change it he had to go against his own self and ultimately kill himself ,or at least a version of him. It’s discussed in the article, and maybe even more so in the comments, haha, but your initial reaction was mine as well – damn, that’s super depressing. However, that’s not the case – I’ll give you the abridged version that you can refer to above for more details, but the short version is that by killing himself and “undoing” Comstock, this means Comstock never comes and takes Anna, which means none of these events happen. The whole thing unravels, returning to the exact moment before Booker gave her up the first time; except now, there is no Comstock to do the exchange, and Booker seems to have retained his memories from the journey regardless, so even if there was a Comstock, he would not have made the same choice. He’s has grown to be a true father now, which is what you can argue the entire point of the game was. He is the origin and the end, but that’s what makes it so great – ONLY because Comstock interfered originally with universe hopping by taking Elizabeth is it possible to end the paradox and return everything to the original setting. I’ve enjoyed trying to piece together this whole thing. Your article certainly makes the most sense to me, but still I’ve never had a gestalt “Aha!” moment to where everything is perfectly clear. It doesn’t seem anyone else has either. Actually I’m not sure anyone has. 1. I am confused as to how Booker has been to Columbia over a hundred times before in this “loop”, because it doesn’t appear to be a loop to me. Is it that Booker failed an infinite number of times in other universes, and the twins were only keeping count arbitrarily or is there something I am misunderstanding? We’re only viewing the universe in which Booker actually succeeds. 2. It was unclear at the end whether we were reliving our memories or becoming new participants in them. For example, when we tried to stop Comstock from taking Anna, was that “our” Booker, who just went through Columbia, or pre-Columbia Booker? How it makes a difference I’m actually not sure. Yeah. It’s interesting…I feel like you can get close, but due to the intentional ambiguity of the game, it will always be left to some sort of interpretation. I went with the happy version because I’m sentimental, but you can make a case for a few other versions, most of which are nowhere near as happy. This is the best explanation of the ending I have seen. Really liked your summary. It cleared up a few points I was missing on the Lutece’s. I was unsure of the ending, if the baby was in the crib or not, because of the Lutece comment of how can you make sure you go back to the right time. But then credence to your take, I noticed Anna’s initials – AD – After Death, and after death, comes the resurrection, the rebirth of life. Another great little part of the rabbit hole that is the game. Also, no one has mentioned it that I’ve seen, but I’m pretty sure when you clear the skylines on the command deck, you are dropping the bombs that are destroying NYC, thus fulfilling the prophecy and adding credence to Elizabeth’s question about why is the line being cleared intermittently. Man, I loved the plot of this game. So many things to turn around in your head! Wow, that’s super interesting – I hadn’t noticed that, but it would be crazy, and sounds like something they would do. I am forcing my self to take a break before playing again, but it’s definitely going to happen so i can try to pick up on little things like that. You are right in many things. Many moments became clear when you collect all voxophones and listen to dialogs carefully. But still I cant see any loop there . Another Bookers came to Comstock`s worlds from other hundreds of universes wich could be produced by any everyday choice ( to eat an apple or a banana). The only thing unites this worlds- they all came to existance after baptism choice had being done, it`s easier to understand if you imagine it as a tree where each choice makes some new branches to grow . And they all develop their way more or less similar. But the most questionable thing is – if they go to that certain moment when he did his choice its somehow back in the time as I understand ..because in other way I cant see the point of it. And so if he dies before the choice is done then in theory it should terminate all the worlds that came to existance because of this 2 choices. They should just dissapear like they never existed. With all people there (interesting what will be with their sous then?). But from the other side killing him in the past makes his death impossible to happen in the future – because if he dies then this worlds never appear and he never comes to Columbia ….so he never could be killed there… lol paradox. But personally I dont find ending good mostly because Elizabeth got almost god`s capabilities but all she wants is to destroy smth with her idea to stop Comstock .And then she becomes a murderer who kills her own dad and terminate many worlds by this to save them from Comstock. May be Comstock was right about her future..She ruined the world even without war – she found easier way. Anyway I still think the game is awesome. Sorry if my English is not very good, I`m not native English. I have looked all over the internet to try and figure out the last bit and you are the only one who has spelled it out properly thank you and keep writing. Not to bring up a post from a year ago (or at this point 2) but don’t connect Rapture just yet! There’s a DLC that goes on to explain Rapture and how the Luteces, and even Elizabeth/Anna that we love, are multidementional beings. Elizabeth being able to open and see all tears put her in the same boat at the Luteces and in the DLC you play as her as she goes through a tear to destroy the only Booker/Comstock left. I love how the DLC plays out and is a pre/post Rapture. If you want more details, email me but the DLC explains EEVVEERRYYY plothole that the Bioshock games created and is a full length game in its own!